FTX SCA – Southern California. And a large part of Nevada (including Las Vegas). Is it worth it? 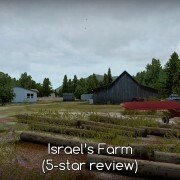 Yes – it is a good scenery, but read the whole review before you buy it. What I like in FTX SCA? I was asked about this scenery by several friends and I recommended it to all of them. And then I described it in details telling them what I like in FTX Southern California. I also told them that there are some minor and one significant problems. It is great for everyone who likes to fly around in a small or medium size plane. Those who choose large jets and biggest airports need a really powerful PC to run LA, San Diego or Las Vegas together with a quality add-on plane. 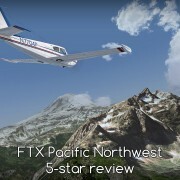 Like all ORBX sceneries – you can buy FTX SCA in FlightSimStore. “Buy now” button on the product page redirects to the store where FTX NA SCA costs 49,95 Australian Dollars (around 35 USD or 32 EUR – at current rates – January 2016). It’s only available as a download product (installer is a little over 6GB in size). You can order a backup DVD (9.95 $AUD + shipment). As always with ORBX products – you need the product key, order number and order date to run the installer. 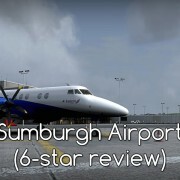 After installation go to ORBX website and download necessary service packs and current libraries. Scenery needs to be activated in FTX Central. Once again – a typical ORBX document. Almost. Compatibility forum link was (for me) the most important part of this manual – I needed to make some changes in scenery files to get 29Palms KTNP airport to work properly. With a little surprise I noticed that the manual recommends “Normal” autogen settings instead of the usual table showing various settings depending on PC specs. I do not agree – over most of this scenery I got much better results with a Very Dense setting. You can turn some features on or off using a simple config tool. Theoretically – you can improve the performance when some features are disabled but I did not see much of the difference and for me this tool lacks several additional options that would make LA and San Diego “lighter” on my PC. What can you disable? Even with disabled harbor objects LA and San Diego performance is… problematic. I did not notice the effects of other options. My first flight over SCA took me from Monterey (in FTX NCA area) to a small airport near the Pacific coast – Oak Country Ranch (33CL). Flying over Big Sur – an uninhabited stretch of California’s coast – I observed the desolate hills covered with sparse vegetation. The yacht skipper in me enjoyed finding light houses in their real world locations. I also checked how the Whale Rock Reservoir dam is modeled – it does not have too many features, but neither does the real one. The shape is similar, location too and I had no doubts where I am. -1 point to first impressions was caused by a tall fence that runs just next to the runway threshold at 33CL – it’s very doubtful that anyone would place such a obstacle on approach. The airport itself was quite nice and I even flew the same route again later to take additional screenshots. 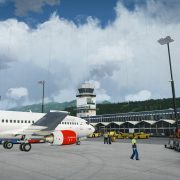 I feel that ORBX is getting better and better with enhanced airports in their sceneries – it seems that they increased the number of objects, models and animated people available for this airports. I choose ORBX FTX regions because I consider this landclass + vector sceneries as the best for anyone who likes to navigate visually. I was not disappointed here. 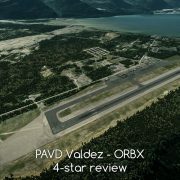 On the contrary – ORBX seems to be better and better in the way it recreates the real world in FSX. 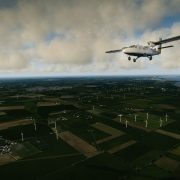 Landclass+vector sceneries may never be as realistic as photosceneries but with a proper use of autogen and scenery objects – they make almost perfect place to fly. One thing that I love is the placement of obstacles. If a VFR chart shows a smokestack or a radio mast – I can be almost 100% sure that the scenery shows it. Also in the flights in which I followed roads (even some minor roads) and power lines I felt confident that I will reach my destination. I can not say a bad word for the quality of landclass and vector data. I found all the roads and all the towns I was looking for. I have some doubts about the scenery in desert (or sub-desert) areas. The sandy textures look good but there are patches of green texture located randomly over the area (look at the bottom of the screenshot I places below). I know that there are places where vegetation appears on a desert but these places in FTX scenery are usually too vibrant and their edges are too sharp to make it believable. I like the textures in other places. Although I found some comments saying that Californian textures are mostly too green and saturated – I have no way of telling you if this is the fact. I tried to compare the scenery with real world photos and… I am not sure. I think that if you do not live in California – these colors will suit you. Like always in FTX sceneries – it’s placed well. And it is a custom autogen so you can expect the correct type of buildings. As I said before – I do not agree with the manual in terms of autogen settings. It is much better when set to “Very dense” and in most places I fly with “Dense” or “Very dense”. In some places where my frames go down I tries lowering autogen setting but it did not make much of the change. So I suggest you stick with “Dense” or “Very dense”. Go for Extreme if you have a powerful PC. Go down to “Normal” (or lower) over LA and other large cities. One of my favorite features in Southern California by ORBX. Over 50 local photosceneries. This is not only more than in any earlier FTX scenery, but local sceneries are much bigger too! A series of photosceneries covers parts of coastline – improving the looks of beaches and river estuaries. Other enhanced locations include natural features, military proving grounds, industrial zones and Edwards AFB. Like in other FTX sceneries all airports were enhanced and some were added. They all feature ORBX library objects and there are animated people at most of them. I like FTX sceneries for these airports because I usually stick to sceneries (I hate default airports). FSX SCA allows me to fly to any airport I wish without the need to look for and download local scenery and I can be sure that I will find a hangar, some buildings and smaller objects – like cars and parked planes. It improves my impressions. Typically to all FTX sceneries – large airports are the weakest (remember that this is not an airport scenery). Differently to other FTXes – there is a large airport in this scenery that is actually quite nice – it’s Edwards Air Force Base and space shuttle landing site (look for the shuttle when you visit Edwards!). Let me describe two local sceneries for you (there are tens of them in FTX SCA). San Diego has the best cityscape in FTX SCA – with a number of real world buildings and several photosceneries as a background. I have to say that it is really impressive (although it is frame-heavy). The similar quality can be observed at the Hoover Dam – it’s vicinity is covered with high resolution photoscenery, the dam itself is modeled carefully in 3d and it is surrounded by electrical infrastructure on the hills nearby. 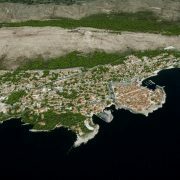 You can check the locations of local sceneries in FTX Google Earth file (download it from the product page). In several places (for example in LA) I noticed that there are objects which disappear or appear at random. Fuel tanks in on of the refineries only appeared for a second, and when I flew closer – I just saw an empty photoscenery. Color of some textures in Las Vegas is not adjusted to surrounding area. At least three times I noticed elevation bugs on small airports. It looks like a typical FTX Vector conflict that has not been resolved. I had not investigated it further – I just selected a different airport but it looks like this feature (or a possible conflict) has not been tested enough. Performance is the only serious flaw of this scenery. Apart from places where there is nothing but desert – FTX SCA performs slightly worse than any other FTXs I know. 4**** here. 2** rating goes to cities – San Diego, Las Vegas and LA can kill my framerates at any acceptable settings. I observed FPS drops to 10-12 (over LA) when I looked in the wrong direction. Las Vegas was so heavy that my frames dropped to 8 at one moment. I later learned to go around “no fly zones” (where serious FPS drops happen) but it is not what I wished for. Flying PMDG 777 to LAX or F-14 out of Miramar (Top Gun former location) was generally acceptable (barely) but I planed both flights carefully and I knew what to expect. 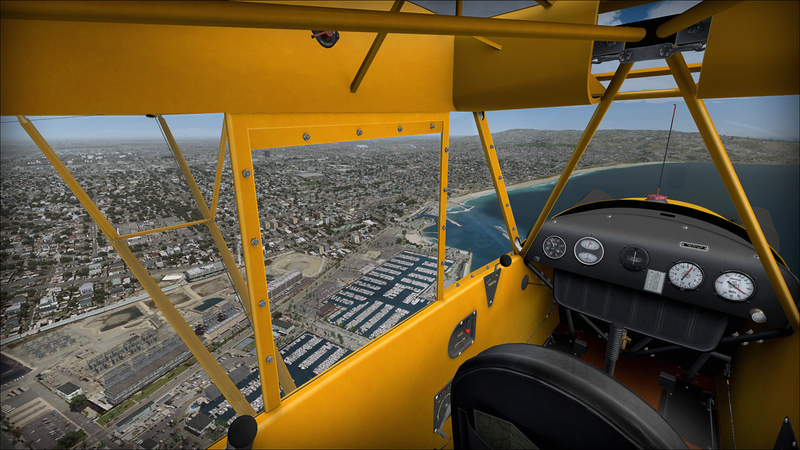 Before you start flying over these cities – make sure you configured your FSX correctly. On the other hand – my mediocre PC (i5 @ 4.2GHz, 8GB RAM, GTX 660 Ti) was sufficient to fly VFR and IFR to almost any city and town in this scenery. 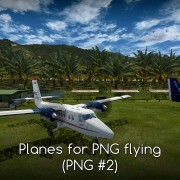 The scenery is compatibile with other popular airports for this region, but it requires a manual and troublesome process of moving or renaming files. For detailed compatibility scenarios go to ORBX forum compatibility threas. I was asked about this scenery by several friends and I recommended it to all of them. And then I described it in details telling them what I like in FTX Southern California. I also told them that there are some minor and one significant problem. 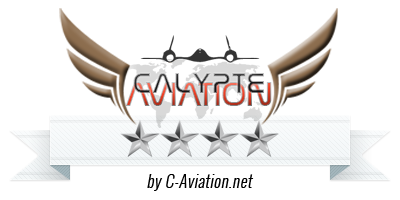 It is great for everyone who likes to fly around with a small or medium size plane. Those who choose large jests and biggest airports need a really powerful PC to run LA, San Diego or Las Vegas together with a quality add-on plane. Keep in mind that I have reviewed a brand new product. There are no service patches for FTX SCA and I am sure that ORBX will resolve at lease some issues. It is a good area scenery and it comes at a price of 30-35 Dollars / Euro. I consider this to be a good price for a good product.